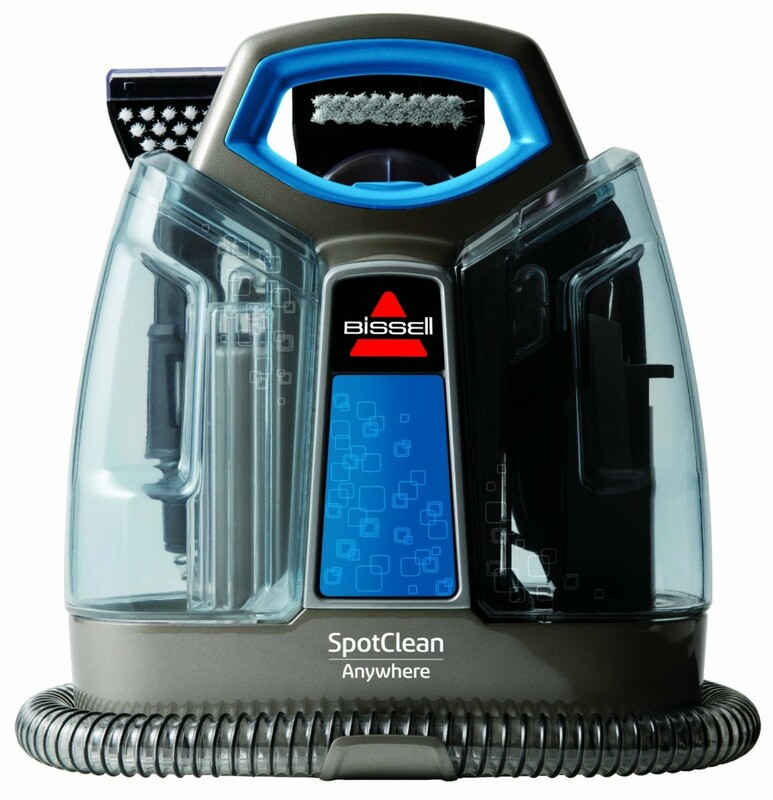 Permanently remove stains on carpets, rugs, upholstery and auto interiors using the BISSELL SpotClean Portable Carpet Cleaner. The unit comes equipped with Heatwave Technology that helps maintain constant water and formula temperature throughout the cleaning process. Thank to the two removable tanks, filling and emptying both water and solution is simple. With a slim design, take this portable cleaner wherever the stains are. Cleaning attachment tool included for easy cleaning hard-to-reach areas, upholstery, and auto interiors. 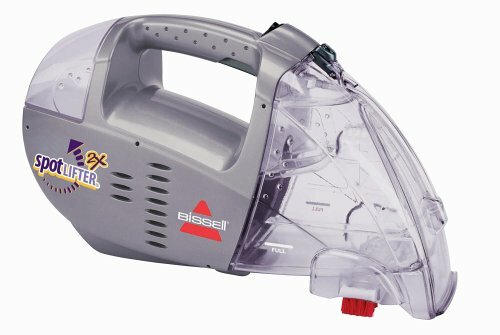 Designed to be easily on hand when an unexpected wet mess occurs, Bissell SpotLifter 2X Portable Carpet Cleaner makes a great helper in any home. This portable deep cleaner is great for cleaning spots and stains quickly and easily. Its stationary cleaner brush agitates soiled spots while simultaneously sucking debris up and through the 7-inch nozzle. The dual tank system allows you to easily fill one with clean water and solution while dirty water collects in the other for appropriate disposal. 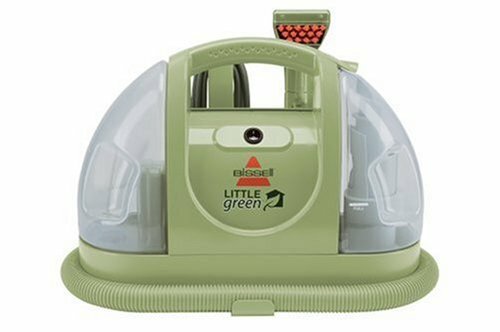 If you are looking a compact deep cleaner for small and large clean-ups, then you will be pleased with the Bissell Homecare International 14007 Little Green Portable Deep Cleaner. 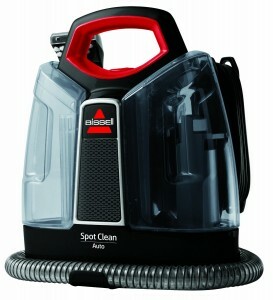 It offers strong spray and suction to remove tough stains and spills. Additionally, the unit cleans and helps dry in 1 step for fast results. Parts are made from post-consumer recycled plastic. Tough-stain brush attachment included. 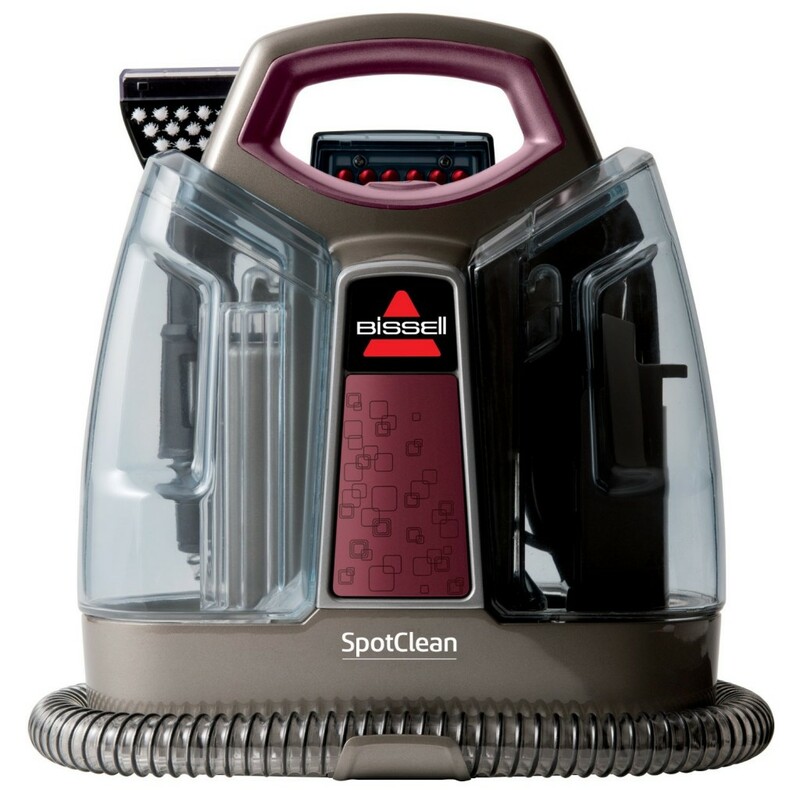 Get fresh, stain-free carpets easily and quality without blotting and scrubbing with the BISSELL SpotClean Anywhere Portable Carpet Cleaner. It comes equipped with HeatWave Technology that helps maintain constant water temperature while cleaning. Its removable water tanks allow for easy filling and emptying. Stain Trapper Tool is designed for cleaning extra-gross, extra-stinky messes. Slim design for easy storage. 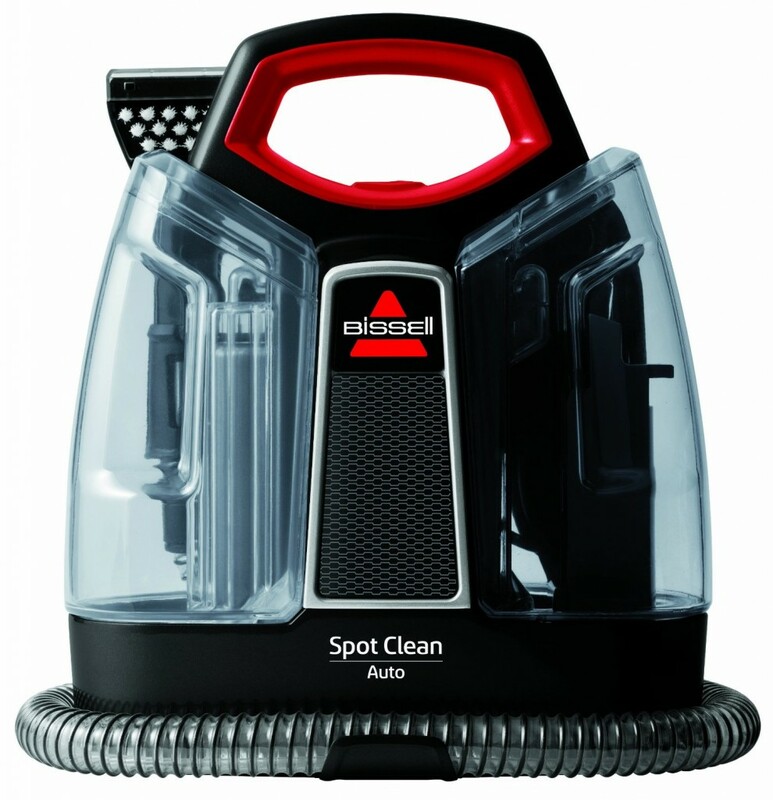 Designed for getting the deep down dirt from car mats, upholstered seats and liners, the BISSELL SpotClean Auto Portable Cleaner permanently removes spots and stains from auto interiors. It comes equipped with Heatwave Technology® to help maintain constant water temperature throughout the cleaning process. Thanks to its slim design, the unit is easy to carry and fits conveniently into your vehicle.